Find NY wedding photographers quickly and easily, when you browse through our comprehensive wedding guide. Choose from some of the finest wedding photographers New York has to offer, and find one that best fits your budgetary needs. Unique, Photojournalistic Wedding Photos that you'll Adore! For photojournalistic, artistic, beautiful photos that you will never forget; Christian Oth Studio in New York is the service for you! 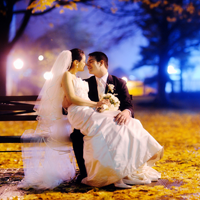 The NY wedding photographers all possess a broad amount of experience in an assortment of photographic genres. The eight unique photographers each can provide a fresh take on your wedding that you won't get from your traditional wedding photographer. Voted one of the "Best 10 Wedding Photographers" in American Photo Magazine, these New York-based professionals continue to redefine the art of wedding photography. Their works have been featured in such noted periodicals as New York Times Magazine, Martha Stewart, Town Country, New York Magazine, and Brides. Though the studio is based in New York City; the photographers also serve the Hamptons, Connecticut, New Jersey, and certain areas beyond. Wedding photography is the best way to immortalize your special day. You only get one chance (hopefully) of capturing your wedding day, so it is wise to employ professional wedding photographers for this important task. Do you want to look back fondly and remember just how great your wedding was, how happy all of your family and friends were or will you look back regretfully having wished you hired an experienced, professional photographer? After all, what happens to the rest of the day? Flowers wilt. Cake and champagne disappears. The groom’s tuxedo will go back to the shop. The bride’s veil likely won’t blend with the dress code at the office. But photographs...brings lifetime of happy memories. Ryan Brenizer will not only capture moments of your special day but also will bring the memories back to life. 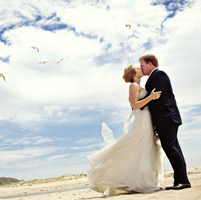 He is one of the highly sought wedding photographers in NY. Susan Stripling never knew that she would end up being a wedding photographer. She studied theater and dance, but soon she realized that the life of an actor was not for her, so she went on to consider several career paths. She finally found her love for photography when she began to study digital and graphic design. Susan has photographed weddings in the US, South America, Finland, the Caribbean, the Bahamas and France. She's been published in Martha Stewart Weddings, Inside Weddings, Grace Ormonde Wedding Style, Modern Bride, The Knot, Bride and Bloom and many others. Elizabeth is a New York City based photographer who has been shooting weddings for years in the U.S. She spent over ten years as a documentary-style photographer shooting editorial fine art and wedding photography. Her style is evocative, contemporary and totally natural. She has the unique ability of making people feel comfortable in front of the camera, and allowing her to capture intimate, joyful moments in a way that always feels relaxed and fun. Elizabeth Lloyd is also based in Puerto Vallarta, Mexico and travels throughout the US, Mexico and beyond photographing destination weddings.